Some lenses are specially designed for specific functions, as opposed to regular, everyday use. For example, keeping pace with the Internet revolution, Nikon and Essilor have developed advanced reading lenses for both near and intermediate vision. 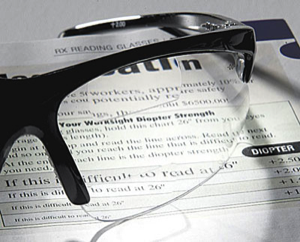 Occupational lenses such as Nikon Move and Varilux Digitime Computer lenses are uniquely designed for office and computer use as well as other sustained near-vision activities.